Advertise or include a love message in our student concert programs! Click here for the form. 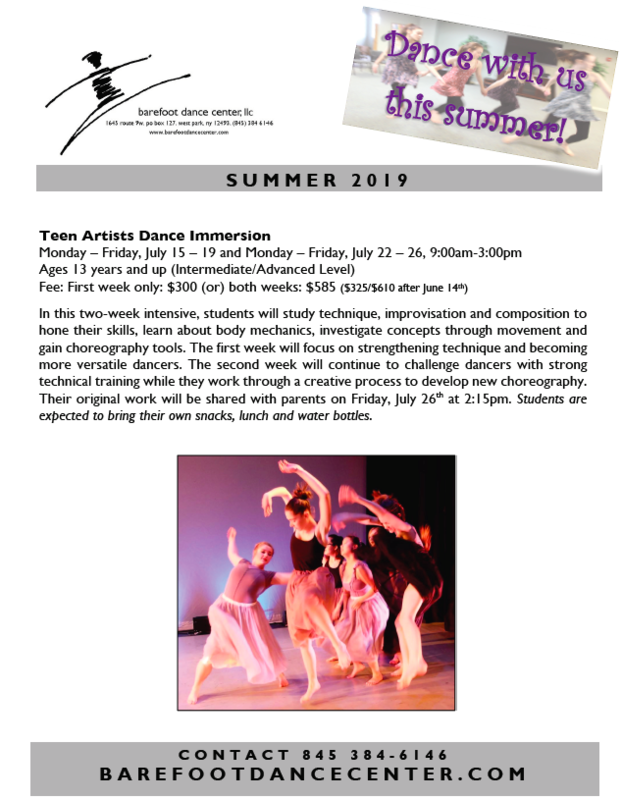 We are currently enrolling for SUMMER TERM! See our schedule for details and register here. Sunday, June 2, 3pm & 5pm, Annual Barefoot Student Concerts, Kaatsbaan International Dance Center. Performance Families, please see this EVERYTHING YOU NEED TO KNOW ABOUT THE STUDENT CONCERTS for details regarding rehearsals and performances. Also, please volunteer at our concerts! You may sign up here. 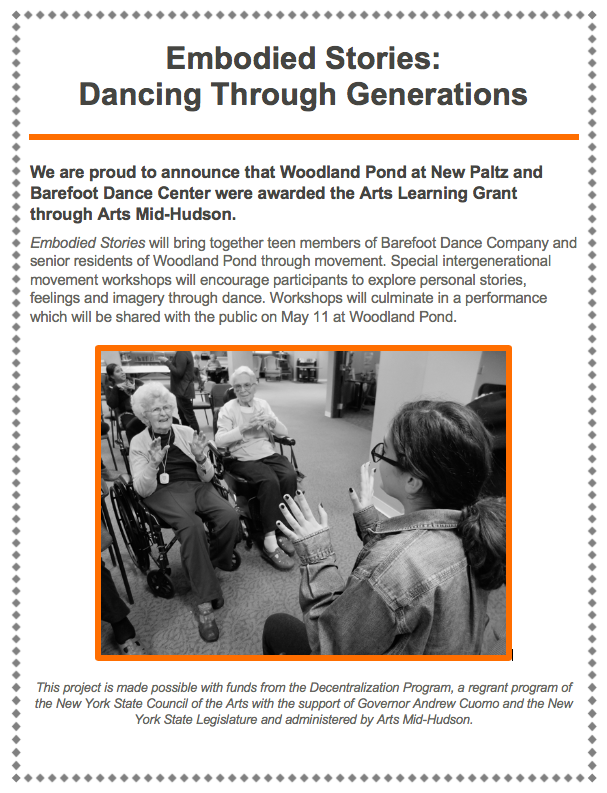 We are excited to announce our partnership with Woodland Pond of New Paltz thanks to the Arts Learning Grant. Thank you, Arts Mid-Hudson for supporting this special project!